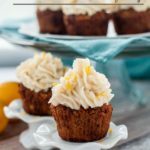 These paleo carrot cake cupcakes are free of grains, dairy and refined sugar but they’re as delicious as traditional carrot cake. Every day is worth celebrating something, don’t you think? So let’s have cake! Or cupcakes, at least. 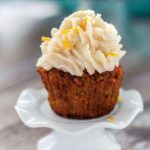 These paleo carrot cake cupcakes are grain-free, making them perfect for your friends following a gluten-free diet, too. These moist, tender and absolutely delicious cupcakes have become a favourite in our home. 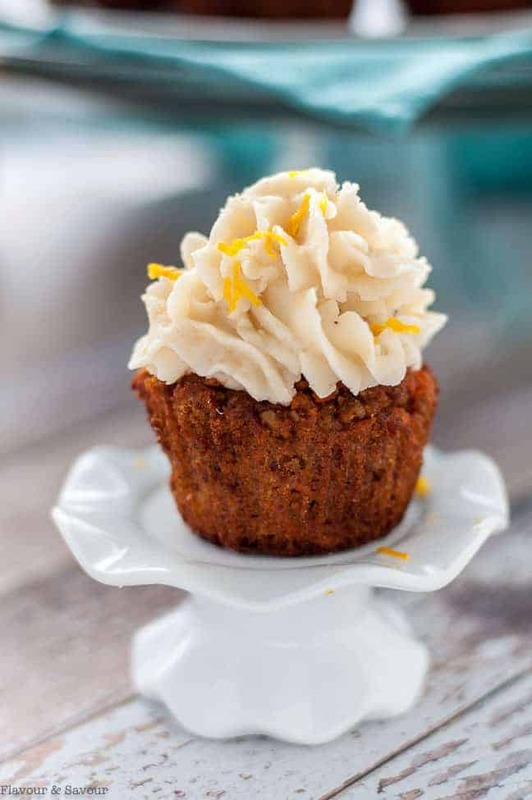 These paleo carrot cake cupcakes get their moist, tender texture from crushed pineapple. They’re naturally sweetened with maple syrup and honey. Not only that, they’re full of healthy carrots. The lemon frosting has hints of ginger and puts these cupcakes over the top! You’ll never guess they’re gluten-free. No electric mixer needed for this recipe! Mix the wet ingredients in one bowl, the dry in another, then combine, fill muffin cups and put them in the oven to bake. I posted this recipe a few years ago, but I’ve updated it with new photos. 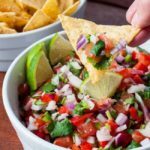 I originally used oil in this recipe, but I revised it to use coconut oil instead. It produces a cupcake that holds its shape a little better, as coconut oil is solid at room temperature. 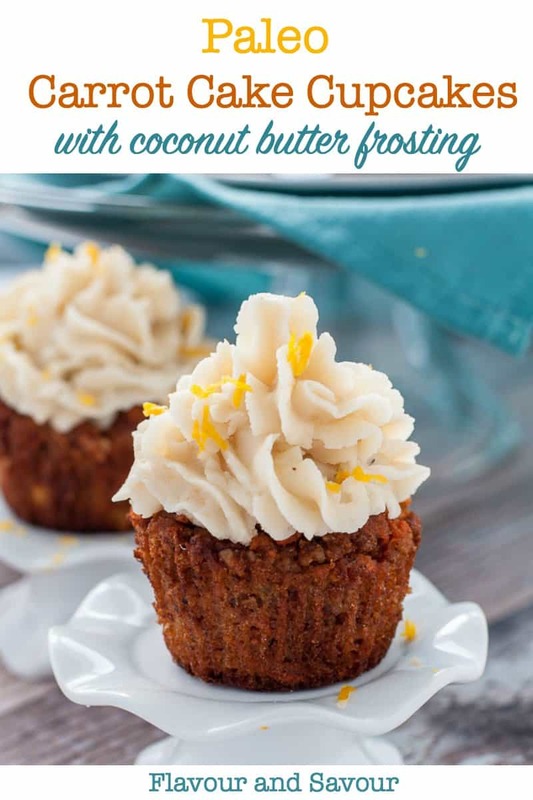 I frosted these with Coconut Butter Frosting, using my recipe for homemade Coconut Butter that I used on my Carrot-Ginger Muffins, but I often use store-bought coconut butter when I’m in a hurry. 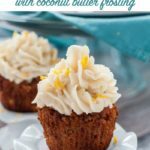 I find this coconut butter frosting easier to work with and more reliable than Whipped Coconut Milk. If you’ve made that often, you’ve probably been as aggravated as I have to find there are some cans that just won’t whip. Check out my tips for whipping coconut milk here. You could also frost them with cream cheese frosting (but since that contains dairy products, it’s not suitable for those following a paleo diet). 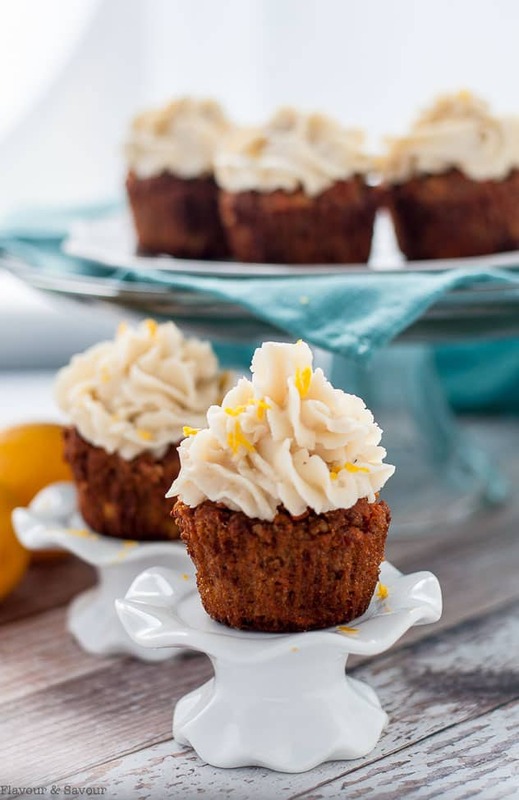 With or without frosting, these cupcakes are a healthier alternative to traditional carrot cake, but they have all the flavour and texture you’d expect. 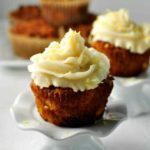 I’ve made this cupcake recipe many times. Without the frosting, it’s similar to a healthy muffin. I’ve also made it in tiny muffin cups for kids, or for those times when you just want a taste. 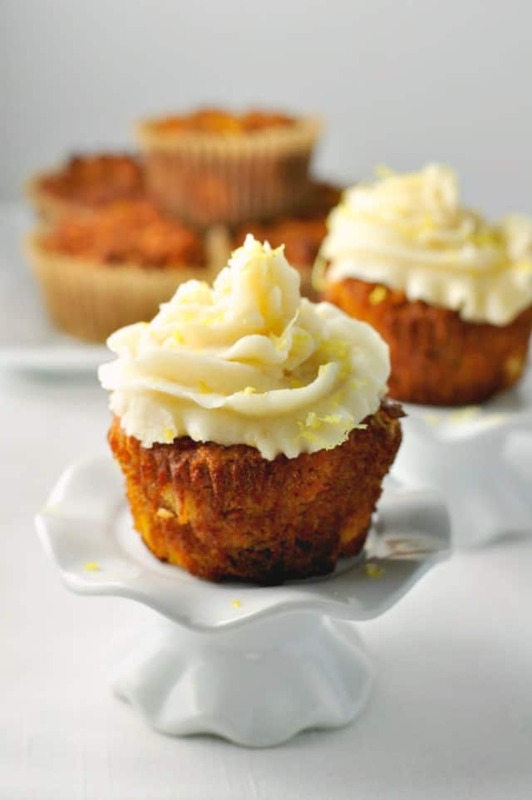 You might want to try these Mini Gluten-Free Carrot Cake Cupcakes with Cream Cheese Frosting. They’re ideal for a birthday party! This easy recipe will make about 8 cupcakes, depending on the size of your muffin pan. I used Wilton pans for this recipe. These flourless cupcakes don’t even need frosting. They’re moist and delicious without! 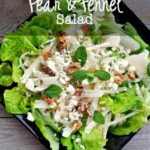 Add chopped pecans or walnuts for extra flavour and a little crunch. Celebrate and surprise someone you love today! 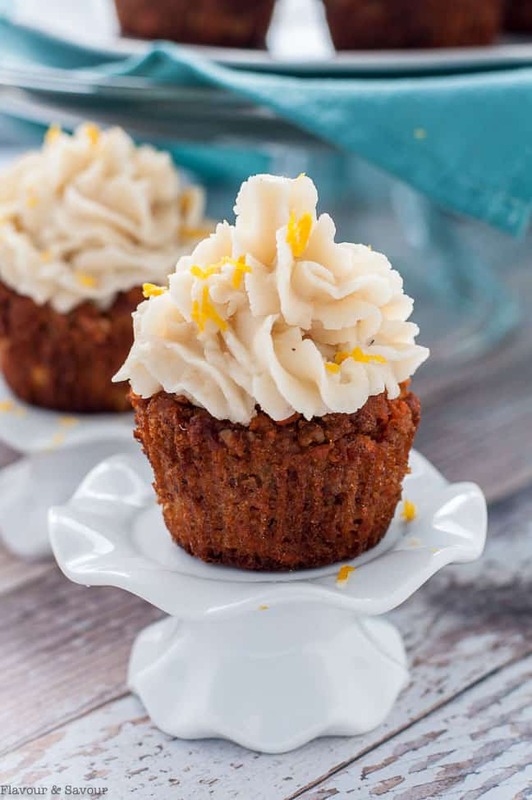 These carrot cake cupcakes are free of grains, dairy, and refined sugar but they're just as moist, tender and delicious as a traditional carrot cake. Preheat oven to 350°F and line 8 muffin tins with paper or reusable liners. In a large bowl, whisk together oil, sweeteners and eggs. Stir in carrots and drained pineapple. In a small bowl, combine dry ingredients. Add dry ingredients the large bowl and stir until well blended. Pour batter into lined cupcake tins. Bake for 25-30 minutes. Nutrition information does not include frosting. A rich and creamy frosting made without butter or refined sugar! Variation: substitute orange zest for the lemon zest. The frosting will be a pale orange colour. See it here on my Carrot Ginger Muffins. You may need to chill the frosting slightly first before frosting the cupcakes. Hello there! I have really enjoyed discovering new baking recipes and am looking for something Paleo for Easter. I came across your cupcake and was immediately drawn to its loveliness. I have a question though…is it possible to use ghee only for the frosting? Or does ghee lack some quality that makes it “un-whippable?” Thank you for your reply. Thanks for your question. I have not tried the frosting with ghee, so I can’t tell you if it would work, but I highly doubt it. Ghee is clarified butter which has had the solids removed. The solids either in butter or in coconut manna are what give the frosting its substance. Maybe you could just decorate them with whipped coconut milk? They’re good all by themselves, too! Hi again, I made the cake portion of your recipe and it turned out very well! Thank you! Thanks for letting me know how much you liked it Vrk! Looks great! Do you melt the coconut oil first, or just blend in as is in solid form? Hi, Use it in solid form for the frosting and in liquid form for the cupcakes. I’ve added that instruction to the recipe now to make it more clear. Thanks for commenting! I just made these. They were so delicious! I didn’t even get to the frosting yet. I added about 5 dates. So glad you liked them. They don’t really even need frosting, do they! Can you freeze cupcakes without frosting of course? Yes, you can! Let them cool completely on a rack, then store in a sturdy container with a tight fitting lid. They will last up to 3 months. Can you make the frosting without the shredded coconut? Yes, it should work just fine. The shredded coconut adds a little texture and will make it a little stiffer, but it should be oksy to keave it out. Thanks for your question! Let me know if you make it! Glad you liked them enough to make them twice. Nutrition data is now included. Thanks for stopping by! This frosting came out looking like applesauce…what could I have done wrong? I processed it in food processor and it wasn’t getting smooth then put it in vitamix and still wasn’t smooth. I melted coconut butter and oil before blending. hi, do you think i could replace the almond and coconut flour for all purpose flour, since I am not gluten free? would these delisious looking cupcakes turn out ok? Hi Kaitlin, I’m just not sure how they’d turn out, so I’d hate to tell you to go ahead, in case they don’t! Maybe try googling Carrot Cake Cupcakes sugar free or something similar to find a recipe you’d like! Good luck! I’ve had problems with coconut flour upsetting my stomach. Would these work with all almond flour? Coconut flour absorbs a lot more liquid than almond flour, so it wouldn’t work to replace it in this recipe. I do have other muffin recipes on this site that only use almond flour if you’re interested. See Paleo Pear and Cranberry Muffins or Blueberry Orange Muffins. I hope you can find some recipes that work for you! Made these yesterday. Really delicious and easy to make. Thanks Annie! So glad you liked them. Thanks so much for commenting! Thanks so much for the recipe. 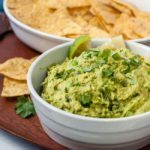 Could i use coconut flour only? Im allergic to almond. Thanks!!! Hi Astrid, I don’t think this recipe would work well only using coconut flour. Coconut flour is very absorbent and the cupcakes would be too dry. 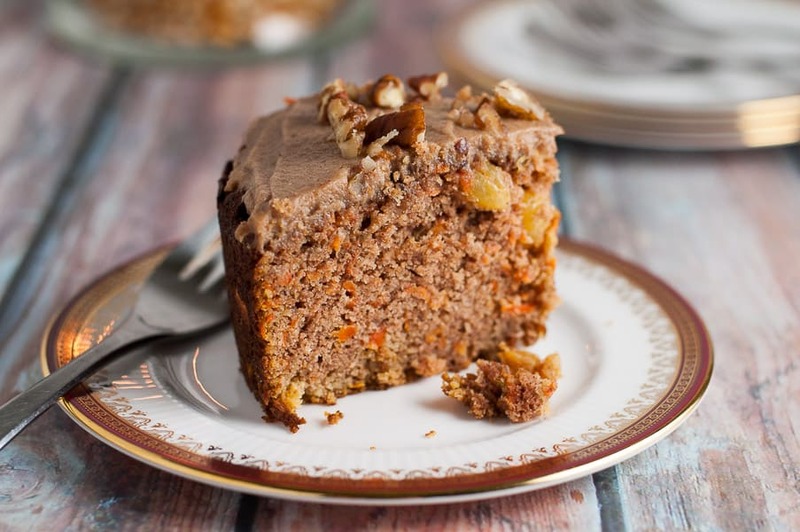 However, you might want to try this recipe for Crowd-Pleaser Paleo Carrot Cake. It only uses coconut flour. I haven’t tried it as cupcakes, but it would probably work if you reduced the cooking time. Thanks for your question! I thought carrots weren’t allowed on the Paleo diet. Wonder if grated sweet would work. Sounds great! 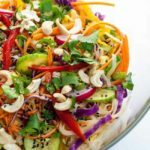 I use this Paleo guide https://ultimatepaleoguide.com/paleo-diet-food-list/ and it lists carrots as part of a paleo diet. 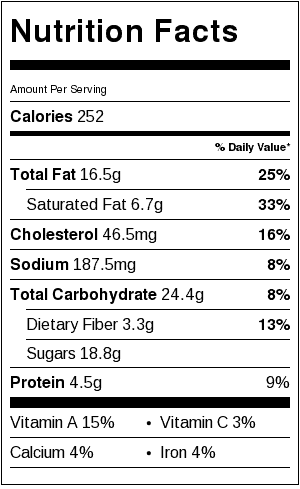 Here is some information on carrots’ glycemic index, too. Thanks for your question! Hope you get a chance to make these. I made these tonight, following the recipe, and they are delicious–light and sweet. Thank you! You’re very welcome! They’re a favourite of mine! Thanks for letting me know how much you liked them. Love this recipe for the ingredients and was only wondering if unsalted butter would work in place of the coconut butter? Yes! While I haven’t tried it in this recipe, unsalted butter should work just fine. Let me know how it turns out! Hi Lauren, It should work fine as a cake. Line your cake pan with parchment paper for easy removal (as gluten-free baked goods tend to stick) and increase the baking time to 35 – 40 minutes. Have fun with it! Happy birthday to your 2-year-old!